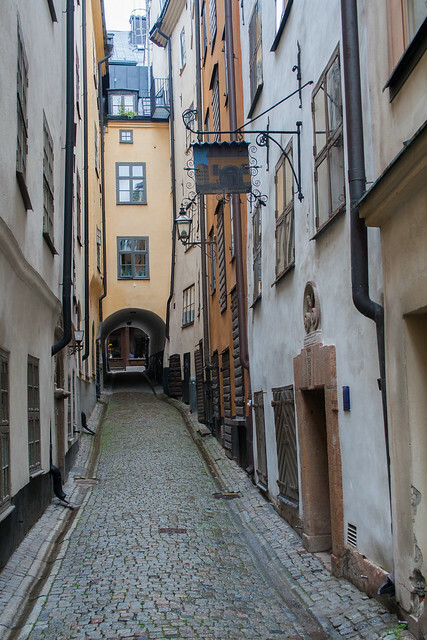 At home, I probably wouldn’t find myself wondering down alleyways, but that is absolutely not the case in Gamla Stan. 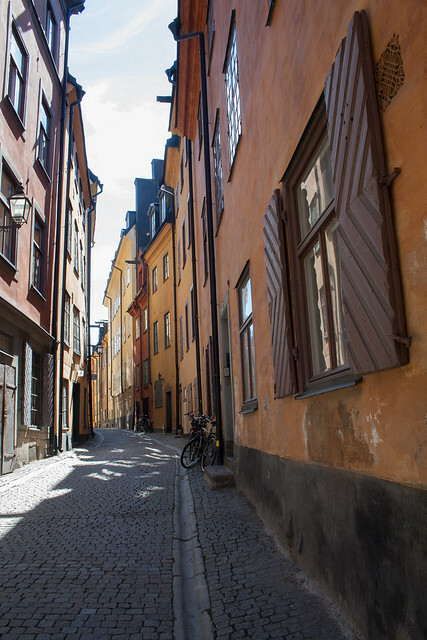 Gamla Stan is the old part of Stockholm, which dates back to the 13th century. It’s full of beautiful old buildings, cobbled streets, enchanting narrow alleyways, and wonderful shops and cafes. Interestingly, it has a surprising number of Italian restaurants, which worked exceptionally well for me. 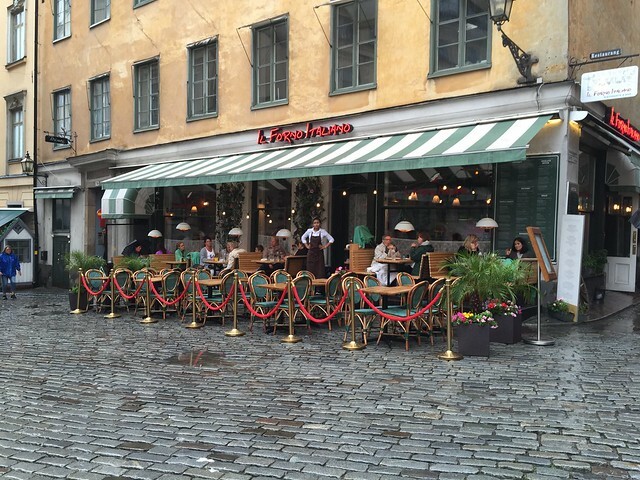 On the first night, my Mum and I took a walk around Gamla Stan. The heavens opened and it began pouring down, so we dashed into an Italian restaurant called Il Forno Italiano. I imagined that perhaps I’d spend my evenings eating Swedish food (though I’m not entirely sure what vegetarian Swedish food would be) so it was a little odd to be eating in an Italian restaurant. I wasn’t the only one who thought that; a Dutch couple at the table next to us asked my Mum to take a photo of two Dutch people, eating at an Italian in Stockholm. The pizza was delicious, and we were sat in front of a huge window that looked out onto the street and watched people trying to dodge the rain. What we also saw was a lot of people taking photos of an alleyway. By the end of our meal the rain had stopped, and I needed to see what people were photographing. It turns out that people were photographing the alleyway above, called Marten Trotzigs Grand. 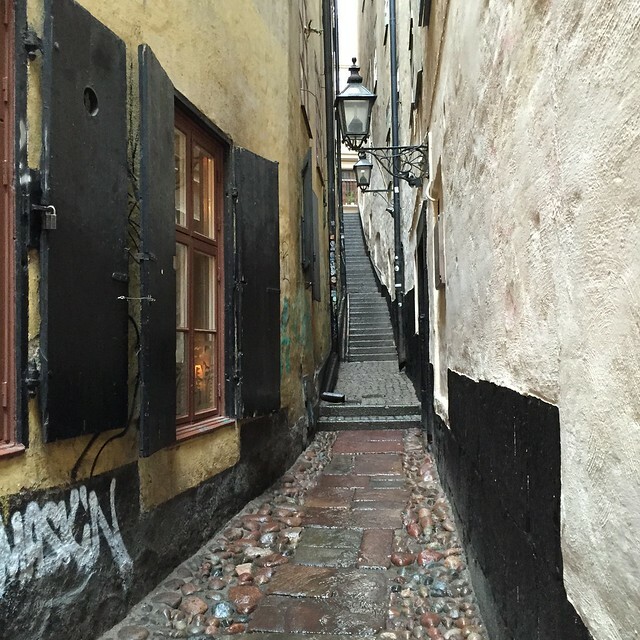 At 90cm wide at points, it is the narrowest street in Gamla Stan and Stockholm. You might not be able to tell from this photo, but this door was really small. The top of the door was probably about level with my shoulders. 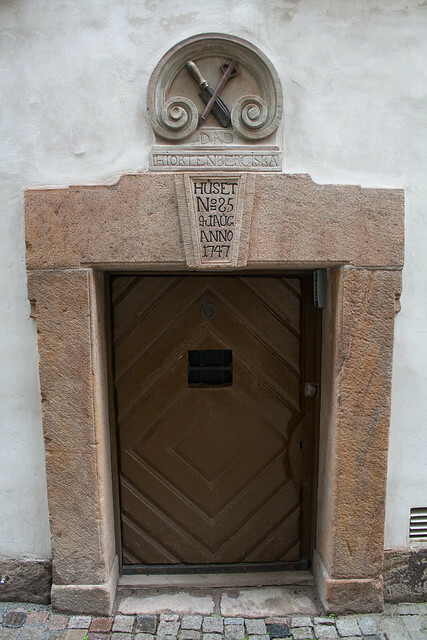 It kind of reminded me of the tiny doorways in Alice in Wonderland. 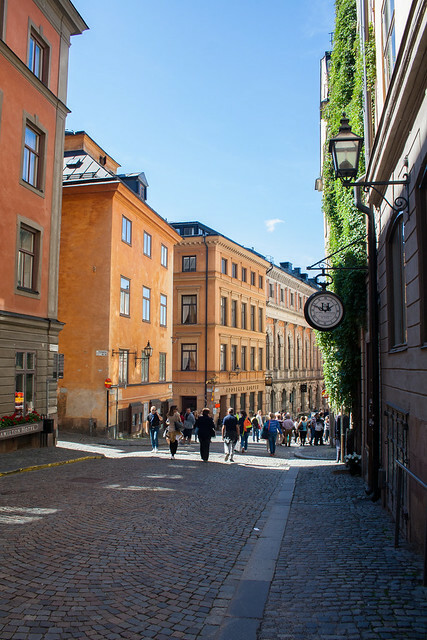 We wondered through Gamla Stan a few times during our trip and discovered record shops (most of which were filled with obscure 80s stuff), cool gift shops, charming cafes that sold the most amazing cakes and pastries, book shops, and yet more Italian restaurants. 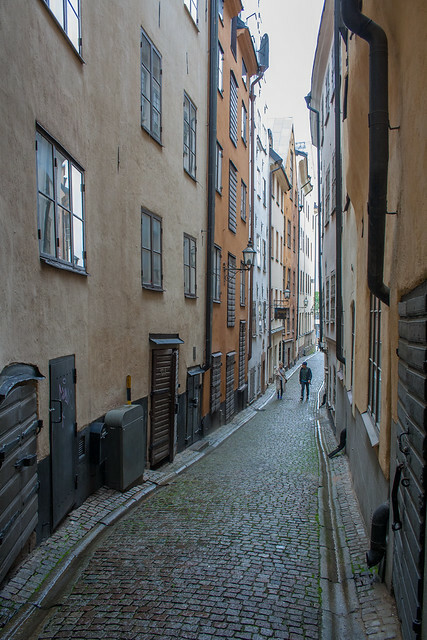 If you ever go to Stockholm, Gamla Stan is well worth the visit. It’s not a big island, but with all the alleyways and interesting looking shops, you could easily spend a few hours wandering round and exploring. This is especially the case if you go during the summer and the place is heaving with tourists. Share with me tales of exploring old, pretty towns.